Q – We were surprised to by what we observed on a thoroughly enjoyable Viking River Cruise to Bucharest. While most everything about this experience surpassed our expectations, we were really put off by the fact that the Captain barely spoke a word of English and his comments had to be literally translated by the Cruise Director. Is this common? No offense but, for safety reasons, we would rather sail in Europe with an American captain in the same way we would far prefer flying up and back with a pilot from the States who was trained in the States. I am sure I’m not the only one who feels this way. A – We will be passing your recommendations on to our friends at Lufthansa and British Airways so they can make the necessary personnel changes. European rivers require interaction with local port officials and gate keepers, many of whom do not speak English. All of the major river cruise lines that carry Americans in Europe employ European captains who know the rivers well. 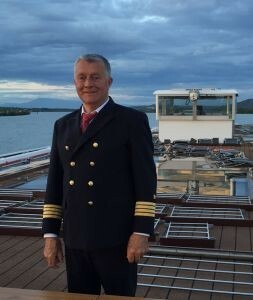 It is quite common to come across captains and other senior staff members who are Europeans with only a smattering of English. Every river boat, however, employs a Cruise Director and other staff who speak English perfectly. They would be in charge of dispensing any information to passengers in the case of a rare emergency. Not sure we really want to sail on the Elbe or the Soane with a Captain from Bayonne.